What happened last year in August? 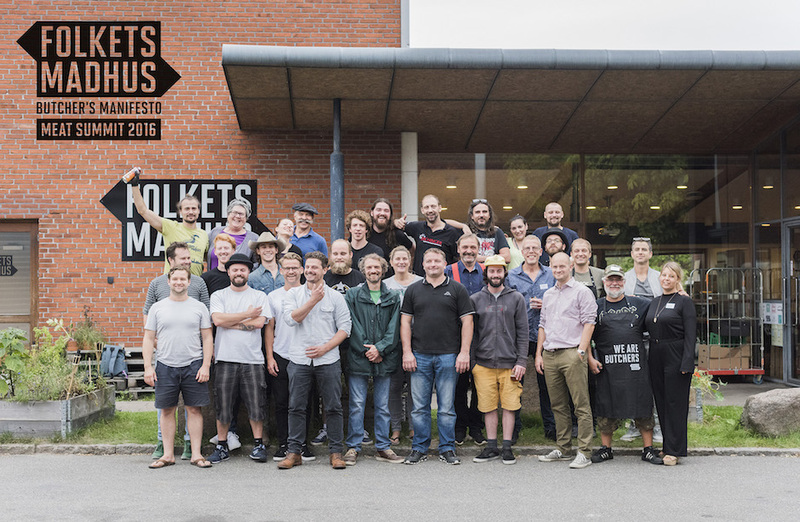 The Netherlands, Germany, England, France, Poland, New Zealand, Canada, the United States and Denmark were represented when 25 butchers, educators, activists and designers met to write a manifesto for the craft of butchery at the People’s Food House in August 2016. In an intensive workshop, the 25 passionate professionals developed, agreed on and committed to five universal key values. The five points that make up the manifesto represent the essence of the workshop discussions about quality, training, craft, traditions and last, but not least, the consumer. The five points that make up the manifesto represent the essence of discussions about quality, education, craft, traditions and last, but not least, the consumer – after all, if no one demands quality products, there is no point in making them. At the Butcher’s Manifesto event, we were able to put together and agree on a shared platform for talking about our profession. We established a network and laid the groundwork for international collaboration, because we saw that the butcher’s trade is under pressure throughout the world. We also made the first moves towards establishing a new master’s program and touched on ideas for scholarships and rotation schemes for newly trained butchers among the member countries. It was great to experience the high level of professional pride in the group.